May you know peace and hope during this season of Light. 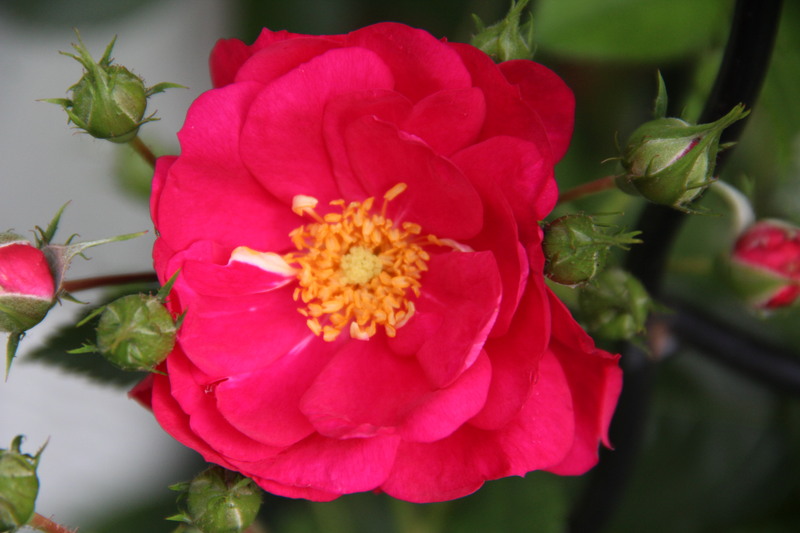 This entry was posted in Backyard Nature, Christmas, Winter and tagged Rosa "Henry Kelsey". Bookmark the permalink. Beth, I’m hanging my head over a cup of coffee (as my mother always did) in preparation for heading to Church to join the choir at 9 am; and here I see your beautiful rose and perfect quote for this morning. I couldn’t help but smile. Thank you, and Merry Christmas to your entire family. Greet your delightful parents for me, I remember them with great fondness. Merry Christmas to you and your family, Linda! Chug that coffee — I’m chugging my tea right now! Thank you for your greetings to Mom and Dad. Merry Christmas Beth! Thanks for the beautiful picture and thought this morning! Please greet everyone for me — thinking of you all on Christmas Day. Thank you, Janet. I hope that you had a wonderful Christmas. Wishing you the best in 2016. Thank you, Mary. Happy New Year!